On Wednesday, February 13, 2019, FRAC released the reports School Breakfast Scorecard – 2017–2018 School Year and School Breakfast: Making it Work in Large School Districts – 2017–2018 School Year. Help us celebrate the release of the publications and the impact of school breakfast by being a part of our #RaiseYourHand digital campaign! 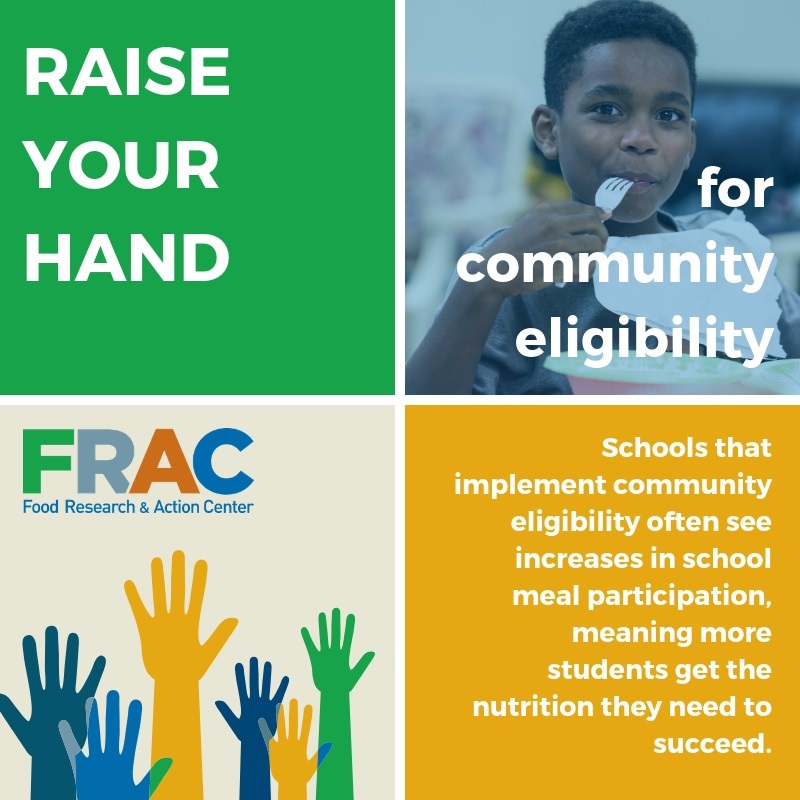 Wednesday, February 13, 2019 – School Breakfast Reports Release: As we release our newest School Breakfast Scorecard and Large Districts reports, share our #RaiseYourHand graphics and captions on the importance of school breakfast (below). Tip: customize your captions to include school breakfast data about your state! Thursday, February 14, 2019 – #RaiseYourHand Photo Storm: At noon ET, share a photo or video of members of your organization/group or yourself raising your hands and include a caption explaining why you’re raising your hands for school breakfast. Tip: take inspiration from the FRAC staff! Friday, February 15, 2019 – MomsRising #FoodFri School Breakfast Twitter Chat: At 1:00 PM ET, join us and MomsRising (@MomsRising) for a Twitter chat on why school breakfast matters. Use the #FoodFri and #schoolbreakfast hashtags to join the conversation. Download and share the below graphics on your social media channels to show your love for school breakfast. Pair the graphics with our sample #RaiseYourHand captions (or your own). Below are additional ideas for participating in the #RaiseYourHand campaign. 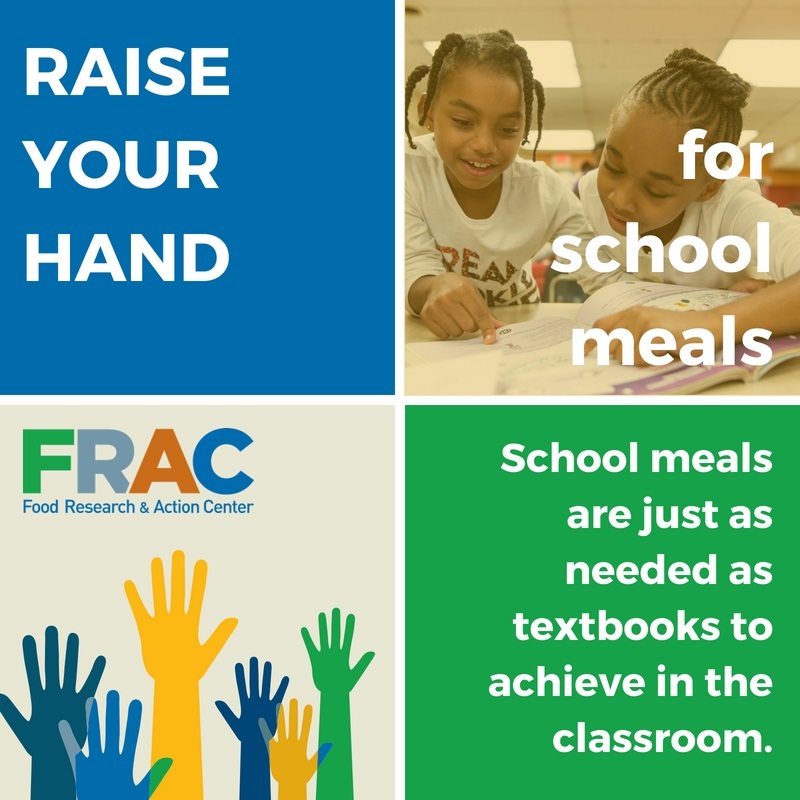 However you choose to participate, be sure to tag us (Twitter: @fractweets, Facebook: @Food Research & Action Center, Instagram: @fracgram) and use the #RaiseYourHand hashtag! Share this toolkit with others in your network: Use email, tags on social media, etc. to invite everyone you know to be a part of the #RaiseYourHand campaign. 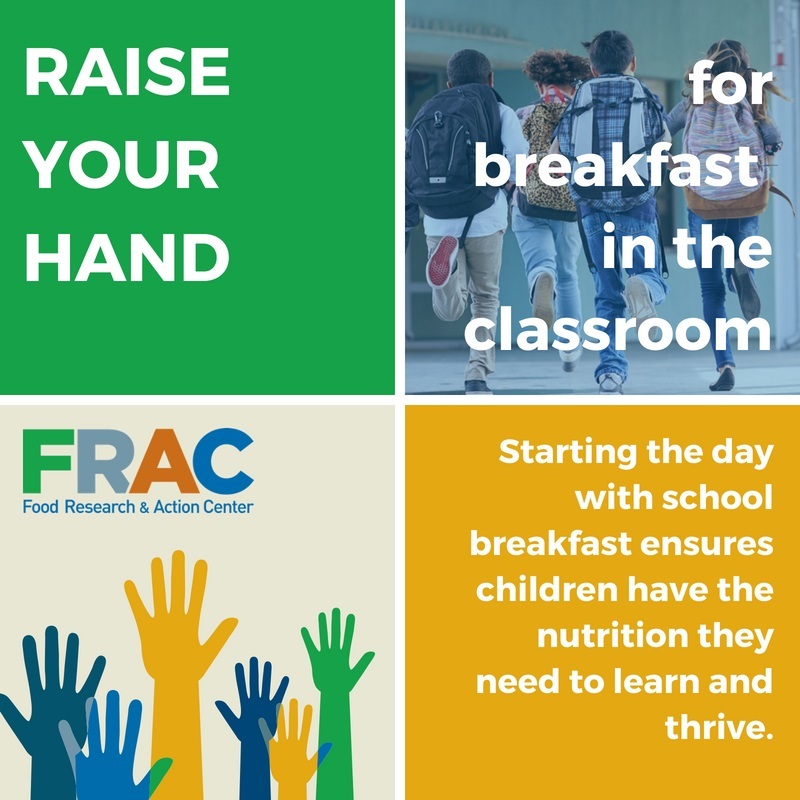 Share FRAC research: We have several resources on why school breakfast matters that you can share far and wide.